and off to school he goes! pretending you are riding the bus... but really riding with mommy! and hope you have the best day!!!! 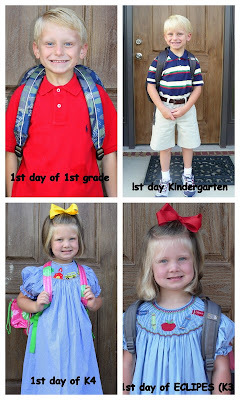 From last year to this year... the first days of school! back to school smocked bishop on the first day of school? I hope they had a great first day!! They both looked so cute!